Could You remember what was the first LP / CD / MC You’ve heard? ABBA was my very first Group I loved as boy of 6 years. I do not remember, wich Record it was of them. In the Direction of experimental music my first record I ´ve ever heard was BERLIN ATONAL 2 with Psychic TV. My first own Record was Einstürzende Neubauten – Halber Mensch. How and when did You begin to create music? Who / what inspired You? Do You still have those recordings? Well, Einstürzende Neubauten inspired me. Also Joy Division, SPK, Throbbing Gristle, Birthday Party, Zoviet France and much more. STEFAN, MARTIN (MAEROR TRI, TROUM) and me started early to make noise-sound. We grew up in the same city. Leer it calls. It´s in the very high North-West of Germany. The Duch border is nearby. Together we often drove to Groningen. There was a very nice small Recordshop. 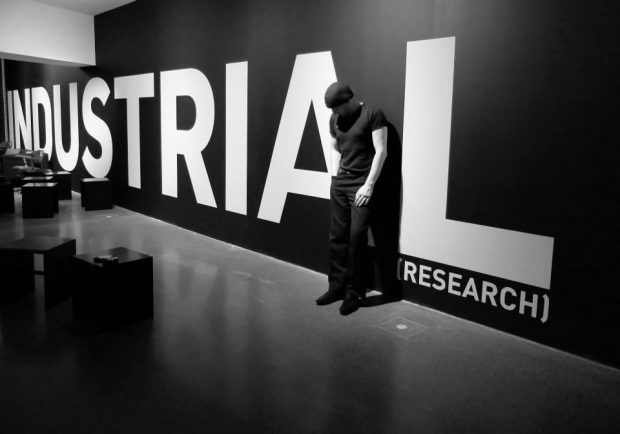 It was filled up with all great stuff of industrial music. It was in 1987. All my TG records are from this shop. And much more. Before MAEROR TRI we made our fist steps of noise music as SCREAMING CORPSES. We had no room for playing in the first time. So we started in a bike-tunnel. We decided to use metall tonnes as drums and instruments. I remember our absolut first track we made. The track name was `The Beginning´. Recorded with a simple taperecorder. How do You call Your music style? MAEROR TRI was drone and industrial-noise, mixed with ritual behave. 1000SCHOEN music I would say, is ritual ambient, dark ambient and partly industrial. Tell us about Your projects in which You’ve participated. Which one is the closest to You? How do they differ in concept? MAEROR TRI and 1000SCHOEN are my main projects. There is one more subproject call VIBRÆ. MAEROR TRI was our starting into the world of experimental music. After 10 years of playing, touring and producing together, we wanted a split of it. Long years mainly I worked as a painter. But I founded my solo project 1000SCHOEN in 1997. At first I wanted to find my own way of music. Sark and rhytmic noise and nearby-melodies. MT was often harsh and raw. 1000SCHOEN more melancholic. Last year my good friend MELVIN NEWMAN and me started with VIBRÆ. Of course, we all like dark and hypnotic sound. But every different player brings allways different new aspects into the sound. So it´s very interesting, to have more brains and ears in different groups. Which album(s) of Yours do You evaluate most? My newest stuff. 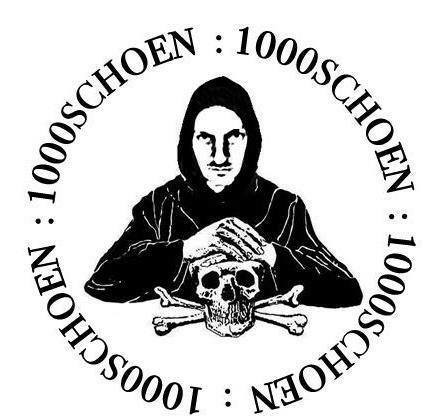 1000SCHOEN – Paintings at the Nightsky (on NITKIE RECORDS) and my split release AB INTRA and 1000SCHOEN on ZOHARUM. But also listen to my other and older cd´s. They are also in the dark. Would You like to visit Lithuania again? What do You know about Lithuanian neofolk / experimental scene? How did You like Your visit in 2013, Kaunas? It was a very nice experience to play in Kaunas at `CREATURE Live Art Festival´. And of course I want to come back again to your beautyfull country to play. Neo Folk for itself I not knowing so much. BRUT and ARMA AGHARTA are two artist, I know and prefer. What bands would You evaluate by 10/10? Very very much. Mostly darkambient and dronebands. Everything is a wonder. A deep and cryptic miracle. Of getting birth and going to die. I believe to the big abstraction of the human senses. Next to my abstact paintings my music stands. Tell us please more about Your point of view about the world, belief, religion. The Brain and the feelings are my beliefe. A gallaxy of 1000 billions of dynamic synapses. Religions are creation of humans. I never follow this kind of dogma. I would like to remember my first encounter with Your music. It was Maeror Tri album “Multiple Personality Disorder” (1993) some 12 or so years ago. 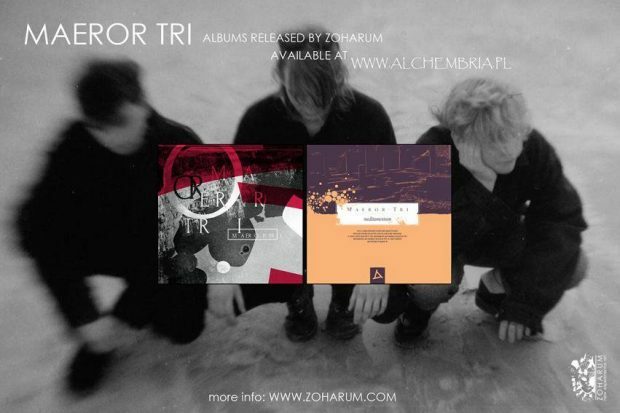 I was astonished by the sound, only later I encountered with other Maeror Tri / Troum albums, and only now – mea culpa – with 1000SCHOEN. Could You please describe Your journey through the Music, how it changed You, and how You changed it? 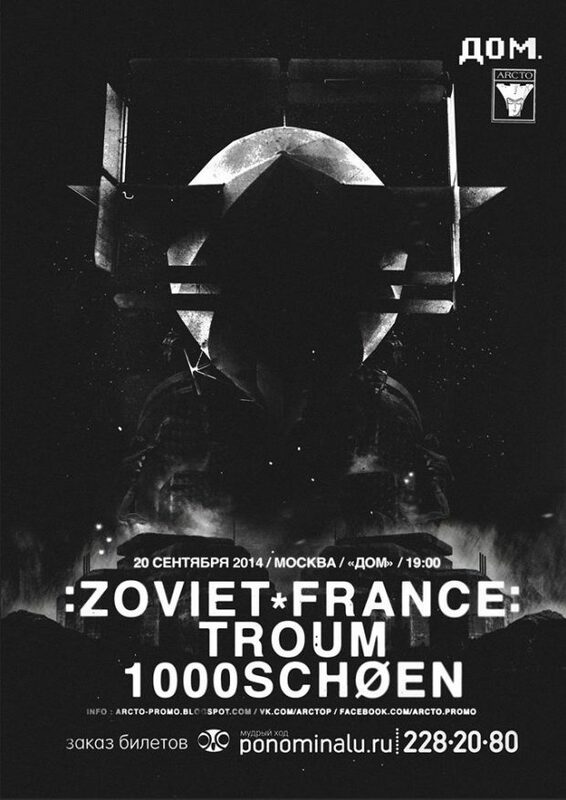 It would be interesting to know details behind names and ideas of 1000SCHOEN, Maeror Tri, Troum. 1000SCHOEN is a plant. In absolut correct German: Tausendschönchen. But over that I see a combination of two symbols. The number 1000 for Rationality and Structure, and the German word Schoen (Beauty) as a symbol of the Feeling and Inspiration. I believe to the dualism view into all themes in life. MAEROR TRI is a latin artic word-combination. The three Boys they are in the grieve to the world of the world. What made You to start 1000SCHOEN? STEFAN, MARTIN and me are still friends. But we wanted to go different ways. After 10 years to playing together we felt, there must come a quit. When the ideas and inspirations are gone. You’ve recently released the new album of 1000SCHOEN “Paintings At The Nightsky”. It is interesting that You’ve released it in February in Russia, when the world is already (at least in Lithuania) “divided” by those who hate Russia and those who don’t. What do You think about Russia and its politics concerning Ukraine? Which side You are on? Does politics matter to You / Your music at all? For me as a German who look to the the German history, hate is never a solution. And I am very happy, that your country is free now to create a peacefull colourful future. What Music lack is felt most of all now? There are lot´s of music styles i´m feeling home. Mostly dark and experimental. I don´t miss any music. Thats great.